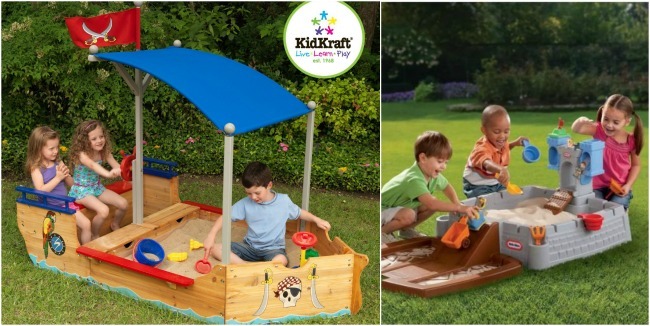 Sandbox is one of the must have items in your backyard if you have little children. That’s where a lot of creative thinking, sensory playing and of course pie making happen. 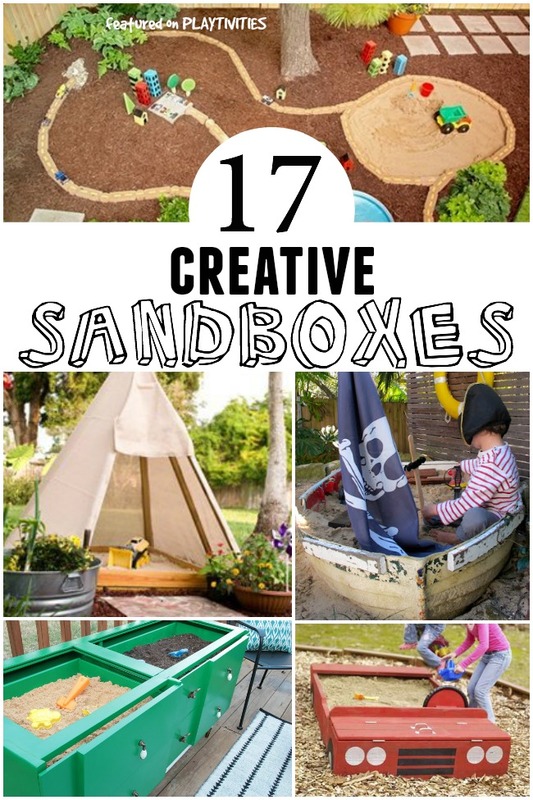 So if you don’t have a sandbox yet (or want to change the old one) I gathered 17 cool and creative Diy sandbox ideas for you. Some of these sandboxes require professional tools, some are so easy you can make it from the things you already have it at home. I personally love those most! This DIY sand area (not really a box) will take your just few hours (or less) to make. So creative and so decorative for your backyard. I really like Teepee sandbox for some really relaxing sand play time. I would totally sit in there. Perfect for reading time too! Do you have an old boat? 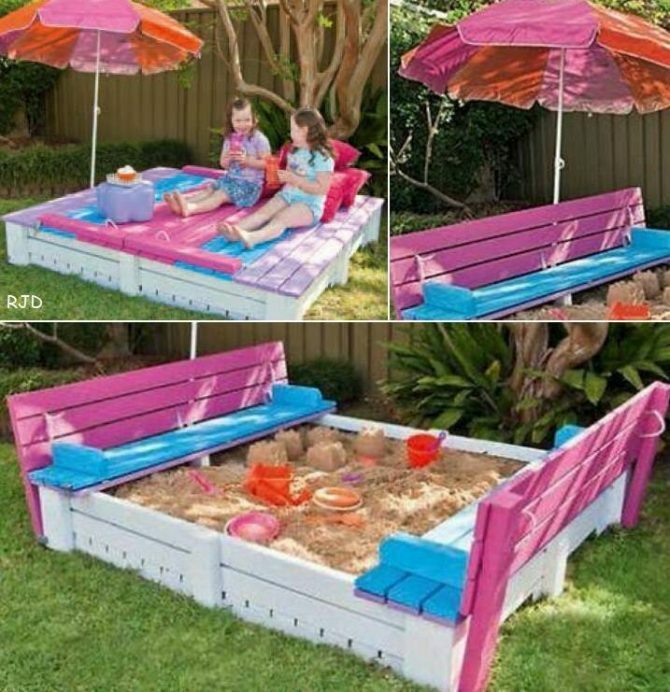 You can totally turn it into a sandbox! Create a sandbox table out of old dresser. You can easily keep this sandbox on your deck if you don’t have much backyard space. How to build a car sandbox. Full tutorial. Sandbox plus stage and puppet theater. Imagine the play possibilities. 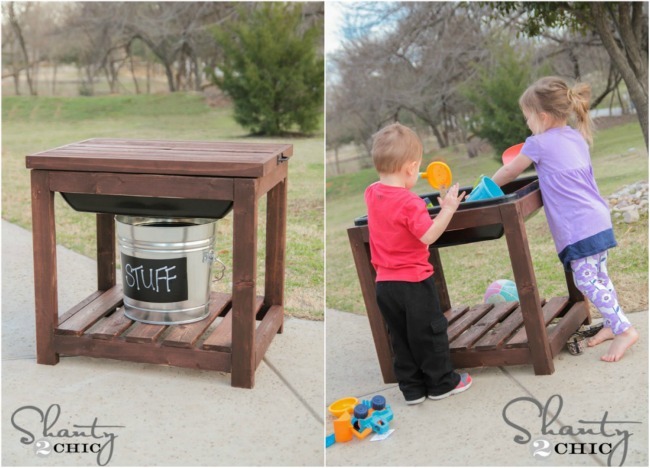 Make multi purpose sandbox table with the storage underneath. 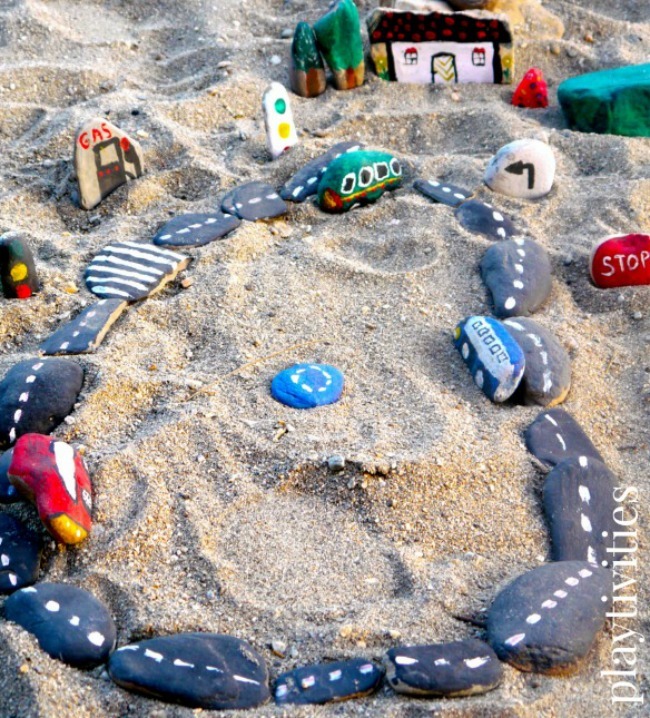 If you have an old tire you can easily turn it into a sandbox. Sandbox that matches the deck and has chalk board. How fun! Build your own sandbox with the benches. I really love this idea, because I can easily sit there and read my book when little ones are playing. Now I just have to find a handyman who could build this for me. 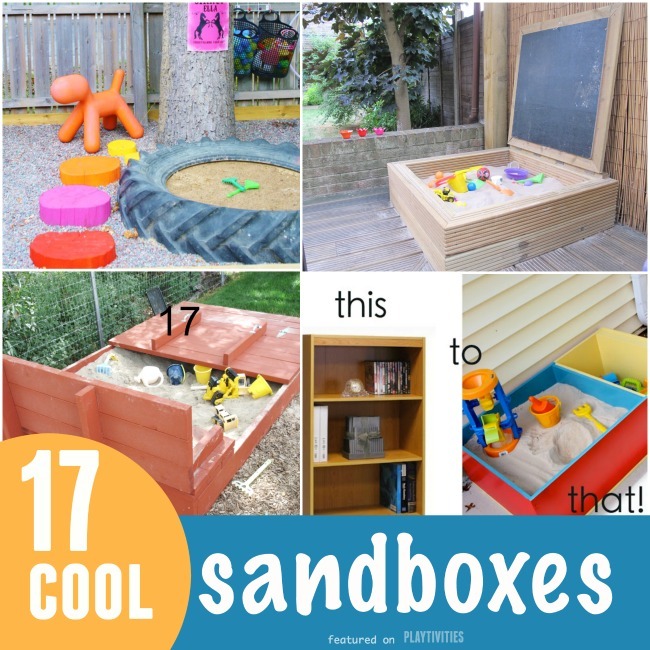 If you are not up to building a sand box from scratch you can easily up-cycle your old book case/cabinet and turn it into a super cool looking sandbox. 1. Make in-destroyable sand toys from ROCKS! 2. If you put cinnamon in the sand box it keeps most bugs out. 3. 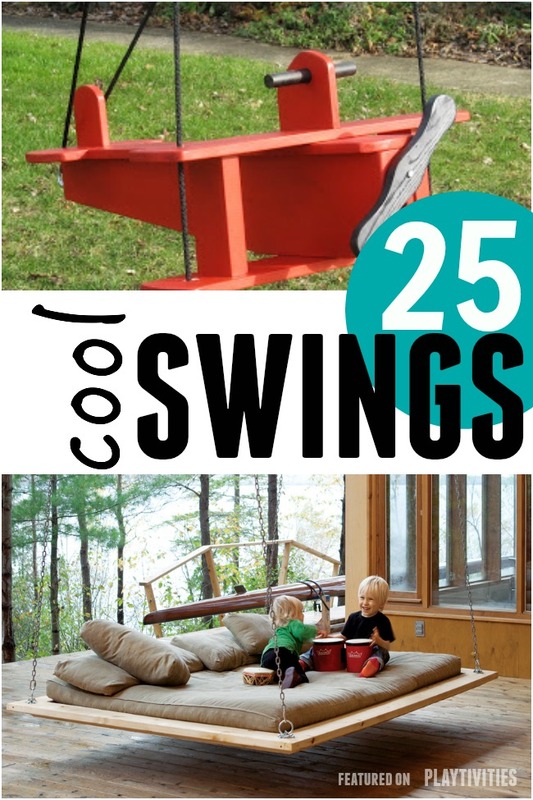 DIY Fun sandbox additions. 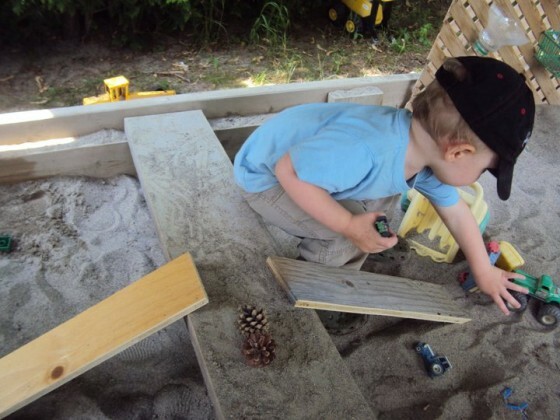 You can make the most simple sandbox into a lot of fun play using simple tips from Happy Hooligans. It really doesn’t take much to make it fun for kids! The more simple the better! Sandbox with shade. The roll-up cover, with mesh windows, is perfect for days when it’s a little too windy or sunny for a normal day of outdoor play. The main structure is made of sanmu weather-resistant outdoor wood, and comes with three storage bins. Adventure Sandbox in a gender neutral castle theme. It has a medium size sand play with basic toys included. Also it includes 2 removable turrets on either side of castle reveal chutes for characters to slide down. Pirate ship sandbox will definitely “WOW” your kids. It has steering wheel, colorful pirate themed artwork. 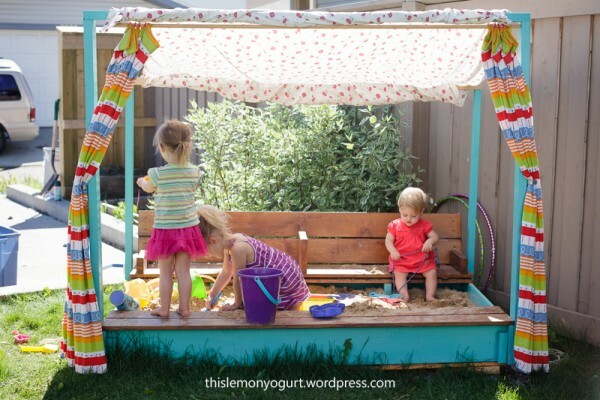 I love that it has shady canopy that can help keep the kids out of hot sun. It has storage compartments for keeping buckets, shovels and other sand toys together in one place. Neat ideas! I love how simple the idea it is to turn a book shelf into a sandbox and storage!